On Saturday July 23rd, The Astor offers Melbourne fans a chance to experience THE COMPLETE METROPOLIS on the big screen. It is arguably the most important movie discovery of our time and for those wanting to see it as intended, in a way not accessible since it’s 1927 premiere, this is a very exciting date indeed. 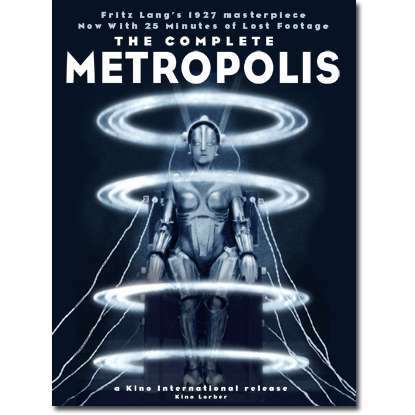 Seldom has the rediscovery of a cache of lost footage ignited widespread curiosity as did the announcement, in July 2008, that an essentially complete copy of Fritz Lang’s METROPOLIS had been found. 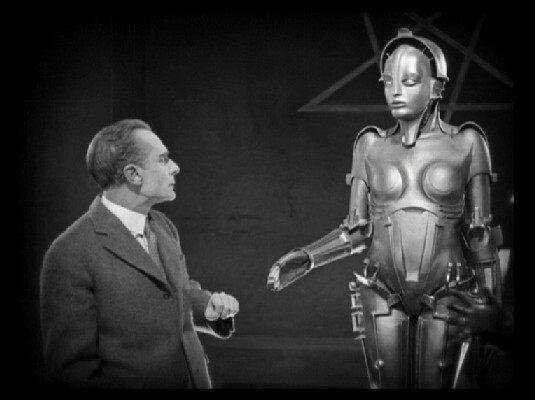 When it was first screened in Berlin on January 10, 1927, the sci-fi epic ran an estimated 153 minutes. 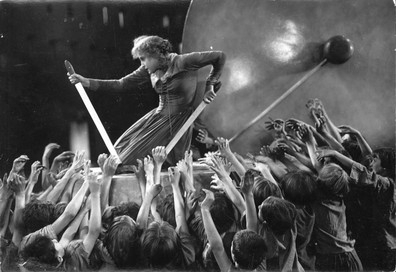 After its premiere engagement, in an effort to maximise the film’s commercial potential, the film’s distributors (Ufa in Germany, Paramount in the U.S.) drastically shortened METROPOLIS. By the time it debuted in the states, the film ran approximately 90 minutes (exact running times are difficult to determine because silent films were not always projected at a standardised speed). Even in its truncated form, METROPOLIS went on to become one of the cornerstones of fantastic cinema. Testament to its enduring popularity, the film has undergone numerous restorations in the intervening decades. In 1984, it was reissued with additional footage, color tints, and a pop rock score (but with many of its intertitles removed) by music producer Giorgio Moroder. A more archival restoration was completed in 1987, under the direction of Enno Patalas and the Munich Film Archive, in which missing scenes were represented with title cards and still photographs. More recently, the 2001 restoration – supervised by Martin Koerber, under the auspices of the Murnau Foundation – combined footage from four archives and ran a triumphant 124 minutes. It was widely believed that this would be the most complete version of Lang’s film that contemporary audiences could ever hope to see. But the world of film preservation is not governed by the laws of wide belief. In the summer of 2008, the curator of the Buenos Aires Museo del Cine discovered a 16mm dupe negative that was considerably longer than any existing print. It included not merely a few additional snippets, but 25 minutes of “lost” footage, about a fifth of the film, that had not been seen since its Berlin debut. The discovery of such a significant amount of material called for yet another restoration. Spearheading the project was the Friedrich-Wilhelm-Murnau-Stiftung (hereafter referred to as the Murnau Foundation), which controls the rights to most of Lang’s silents and is the caretaker of the legacies of many other German filmmakers, including the one after whom the foundation is named. Film Restorer for the Murnau Foundation, Anke Wilkening co-ordinated the endeavor. “We discussed the new approach with experts and German archive partners to establish a team for the 2010 restoration,” Wilkening explains. “The project consisted of two main tasks: the reconstruction of the original cut and the digital restoration of the heavily-damaged images from the Argentinian source.” Returning to METROPOLIS was Koerber, Film Department Curator of the Deutsche Kinemathek, who had supervised the 2001 restoration. “Three people worked on what we call ‘edition’ – meaning sorting out the material and determining the order of shots, making aesthetic and technical decisions, etc. : Anke Wilkening, Frank Strobel and myself,” says Koerber. As word spread of the discovery of the Buenos Aires negative, a nervous public worried that archival politics might hinder the integration of the rediscovered footage into METROPOLIS. Koerber explains this was never the case. “They were always willing to cooperate, in fact they offered the material once they identified what it was.” Once obtained by the Murnau Foundation, the 16mm negative was digitally scanned in 2K by The Arri Group in Munich. The condition of the 16mm negative posed a major technical challenge to the team. The image was streaked with scratches and plagued by flickering brightness. “It had all been printed from the 35mm nitrate print, which means they have become part of the picture,” says Wilkening. The source 35mm element was later destroyed (probably due to the flammability and chemical instability of the nitrocellulose film stock). “The work on the restoration teaches us once more that no restoration is ever definitive,” says Wilkening, “Even if we are allowed for the first time to come as close to the first release as ever before, the new version will still remain an approach. The rediscovered sections which change the film’s composition, will at the same time always be recognisable through their damages as those parts that had been lost for 80 years.” Viewing METROPOLIS today, the Argentine footage is clearly identifiable because so much of the damage remains. The unintended benefit is that it provides convenient earmarks to the recently reintegrated scenes. Other changes are not so noticeable. Because the Buenos Aires negative provided a definite blueprint to the cutting of METROPOLIS – which in the past had been a matter of conjecture – the order of some of the existing shots has been altered in the 2010 edition, bringing METROPOLIS several steps closer to its original form. “The project was a very good experience regarding team work.” Wilkening says. “The collaboration of the different individuals with different background – historians, musician and technicians – was exceptionally fruitful.” Now that METROPOLIS is – at least for now – behind them, preservationists resume their watch for new opportunities, and forgotten cans of film that might offer other cinema treasures a second life. Wow this looks like a fantastic opportunity to experience the new projector. It’s going in the diary!